Business Model Innovation (BMi) has been a persistent topic on the Lumos blog since the beginning. BMi is about developing new ways to bring existing product and services to existing markets. One of the key advantages of BMi is that most of the innovation happens beneath the surface, making it both difficult to understand and replicate. In the early Lumos days, we focused on using the Business Model Canvas as a tool to model out BMi and start thinking about how to implement new models. In practice, it is much more difficult. There are many other variables to effectively model out the #NewEraBiz and structure a process to innovate in the market. The #NewEraBiz is a business designed for the next generation, with a business model that effectively blends financial rewards with deep (social, economic, or cultural) impact. As we enter a world of increasing political instability and social disorder, we must design models that are resilient and long-term sustainable, which requires more dynamic thinking and non-linear analysis. That’s why in this post we are going to explore beyond the Canvas and look at other variables to analyze in order to deliver BMi in the market. 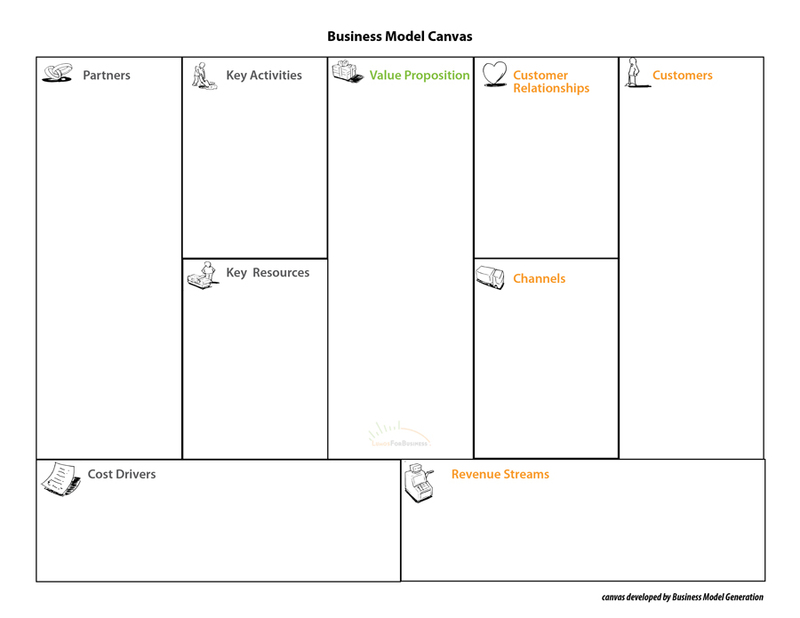 The Business Model Canvas provides a new way to analyze current business models and design new ones. But building a model on the Canvas is a very linear process, one that doesn’t factor in many of the underlying factors that can, asymmetrically, affect the model in one way or another. The first, and most important piece is the Macro. Many people look at a new business, which we can define as the Micro, and analyze it in a vacuum, as if it exists in an isolated chamber. The Macro is defined as the macroeconomic and geopolitical environment that the business functions in. Some of key outputs are currency, interest rates, regulatory guidelines, state budgets and many others. To many people, these outputs seem like mundane variables that are best discussed by the Financial Times or Investment Bankers. But they have a tremendous influence on consumer behavior, the investment cycle, credit markets, etc. If you have no Macro outlook for the mid-term (3 – 5 years), which most business owners/entrepreneurs don’t, then you are susceptible to major Macro shocks that can derail your entire business. Whether it’s a poorly-timed market entry, the inability to find financing, or massive increases in prices for raw materials, these factors can completely derail a business. In a centralized world, one dominated by Central Bank policies, an entrepreneur or business owner needs to have at least a basic grasp of the Macro surrounding their business. It doesn’t mean you need to be a Macro Economist, obviously, but you need to have a clear outlook on the big-ticket items that will affect your business the most. Because when you know what the key variables are, you can structure your business model to defend against Macro shocks, and ensure the business remains solvent even in trying times. As we discussed in the intro, it’s about resiliency and long-term sustainability, and when you are trying to innovate on the business model you need to be able to see a plan through for at least a 5 year cycle. Many people call this the ‘Competition,’ but Competition is only part of the story. An ecosystem is a “complex network or interconnected system,” and it is within this complexity that the real opportunities arise. If you are starting a drycleaning business, and there are 16 other drycleaning businesses in the same city, it’s obvious that the market is competitive. Within an ecosystem, however, there lay opportunities depending on: who the customers are, the location, the distribution model, etc. If you only study the competition, then you naturally try and compete on price, on brand, on being the ‘fastest, best, greenest, etc.’ service. This is part of the move in the finance industry to consolidate services powered by Meta Disruptors like AI, which we will discuss further down. People is the most abstract, but important, part of a surrounding business. The current HR industry is obsessed with finding people who have 5+ years experience and a laundry list of accomplishments on a resumé. But most of that experience is in industries of the past, in a world that is quickly fading into the rearview mirror. When you are trying to launch something new, to innovate at the core, you need to bring in people who are fresh thinkers, not necessarily titans of the past. The new world requires people who understand how to use technology, who know how to leverage networks to expand a business, who can use modern design techniques to establish trust. It’s no longer a world where people who graduate from the top business schools, who get MBAs from Harvard, who have earned A+s since they were six, etc. are the best people to hire, especially for the purposes of BMi. When you march into the market with the intent to innovate, you need soldiers, people who are hungry to make a difference, People who understand that the world of tomorrow will look much different than the world of today. You need to map out the model and understand what people you need to bring onboard in order to implement and execute on the business model. This requires looking at the Canvas and identifying the key areas of the business model and the defining roles around those key areas. For some companies seeking to enter the digital business world, the main differentiator will be design, for others it will be the use of social media to develop customer relationships, and for others it will be the technology stack. Very few MBA programs teach these skills, and in the case where you need business people to oversee operations, project management, etc., you need people who understand how these people operate. It is crucial to understand the business model before you write your business plan. Understanding the core components of your business model will enable you to map out strategies that can be adapted to the changing environment of the business; once you have a business model, you can take it to market to test/implement and not need to worry that something will change and make the whole plan redundant. When you write a business plan, it’s only useful if you have a model to back it. Unfortunately, most people just make up a whole bunch of numbers to satisfy the criteria for a business plan . Start with the business model using the Canvas, then structure the business plan to be flexible, enabling adapations to be made as the business progresses in the market. Plans should be based on scenarios that are subject to variables correlated to a model, not hardwired logic based on random forecasts and projections. In order to understand how any given model works, you need to be able to test a variety of assumptions, ones that are core to the functioning of the model. Assumptions can be stress-tested in extreme situations and scenario-planning can evolve to ensure the business stays solvent through the requisite time period. The most important factor to understand in the Financial Model is cashflow. Many new business models may not breakeven on monthly cashflow until 2, 3, 4, even 5 years down the line. That doesn’t mean that they are not ideas worth investing in. You need to model them, understand the required investment to get through the time period where the business is burning cash, and be able to approximate the upside, so that the risk-reward ratio for investors is appealing enough. Using the above-linked model, all you need to do is enter in projected revenues and expenses in ‘Financial Forecast,’ and the model will automatically calculate the projected Cashflow, Income Statement and Balance Sheet. Keep in mind, it’s built to be a rough model, not a model you can take to the bank. To develop full-scale Financial Projections requires some expertise in Finance. These innovations will have a profound impact on multiple verticals, perhaps simultaneously, when the technology is fully developed. Meta Disruptors will enable new business models for new entrants and require significant business model adaptation for incumbents. Beyond financial and professional services, there are applications for blockchain in music, governance, the sharing economy and many others. We talked about Wealthfront above, and their vision of AI transforming the financial services industry for the next generation of investors. AI is being developed and tested in companies around the world in order to develop breakout innovations that will transform human capacity to manage complexity. Some other areas that are likely to significantly shaped by AI in the coming years include: health, public policy, transit and many others.